Do you struggle to delegate work? Wonder how much management is too much? 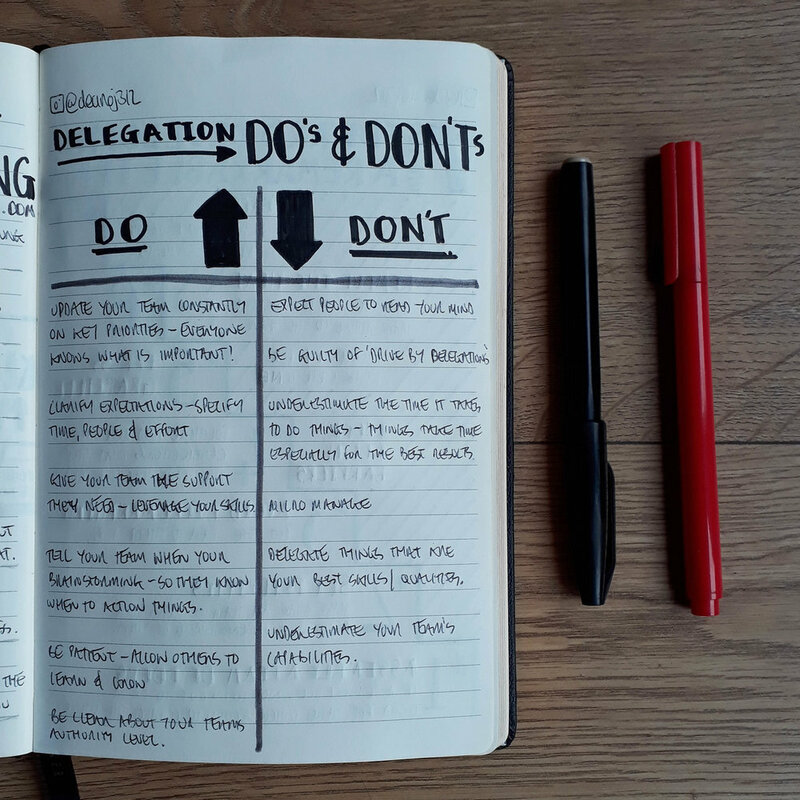 Delegation is a tricky skill to manage, it can be difficult to let go of your projects. Release control of parts of your projects. I know I sometimes struggle with this, but the benefits can far outweighs the drawbacks. Hopefully this list will help you become better delegators, and achieve your goals faster, together as a team. This is NOT PG-13! I was a late-comer to this show, but binge watched it on Netflix recently and absolutely loved it! Peter Capaldi's amazing sweary delivery was hilarious to watch. Makes me want to level-up my own swear game. Fuckity-Bye. 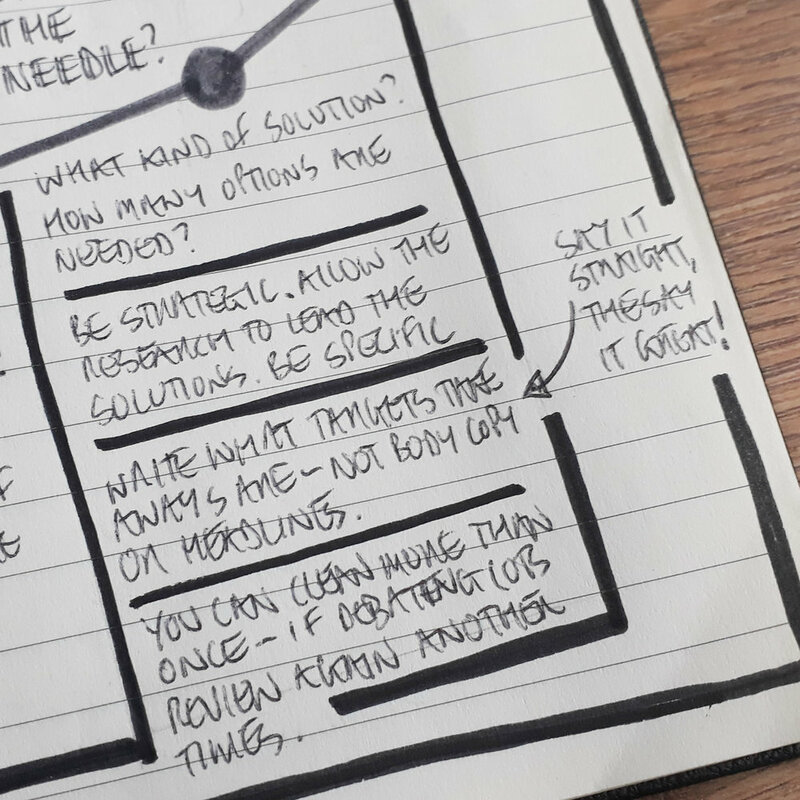 Looking for a technique to organise your information at the start of a project? 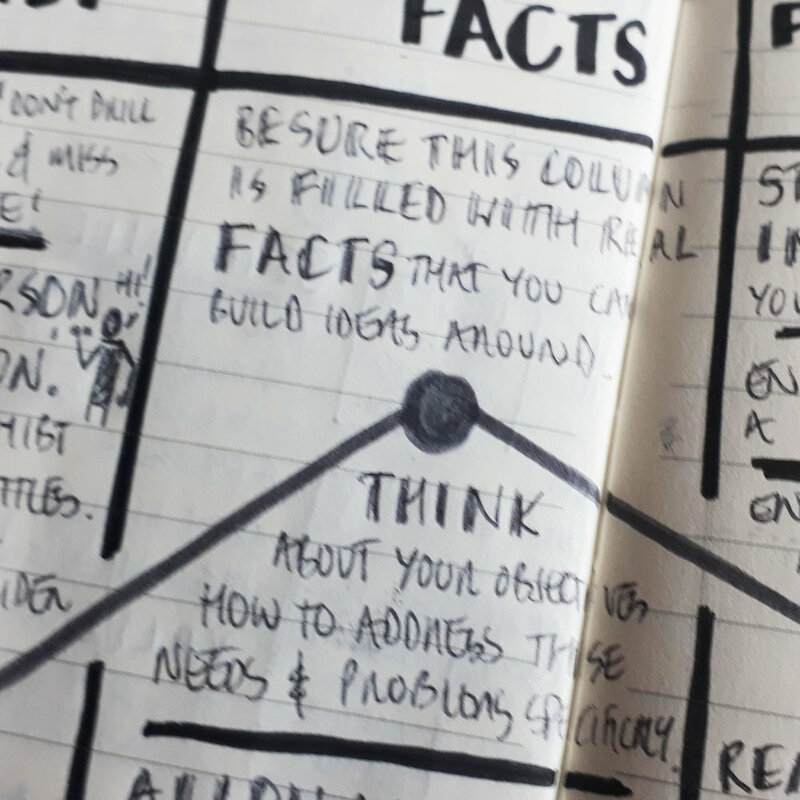 It’s difficult to do your job as a creative with too little or too much information. That is where the Creative Strategy Framework comes into its own. This is a deep dive into this framework which allows you to play detective, organising and extracting insights. Filling in the missing parts, removing irrelevant stuff and reducing information overload. Why use this? As Douglas says in his book: "it helps begin the process of developing relevant solutions that are on brand, on strategy, and on message." Looking for some game changing marinades to upgrade your cooking? Here’s another entry into the #sketchnotecookbook. I’m looking forward to testing these out on the BBQ this summer... if it ever arrives in the UK. Fingers crossed! That was this week in nudenotes - come back next Sunday for another recap post. For those of you keen to be first in the know on all things nudenotes, head over to my Instagram and hit that Follow button.